For those of you following Leatrice Eisemen's training schedule, her 4-Day Color Training Program is off to a start this very morning in Burbank, CA. LindaHolt and ModernMuse (aka Michelle Stroescu), the two COLOURlovers who won full and half scholarship for the class back in November are excitedly enjoying their first day of learning and meeting Leatrice. To tide you all over until we get to do a followup with both Linda and Michelle about the class experience, Leatrice kindly took the time to answer the intriguing questions each winner had asked at the time of receiving the announcement that they had won. 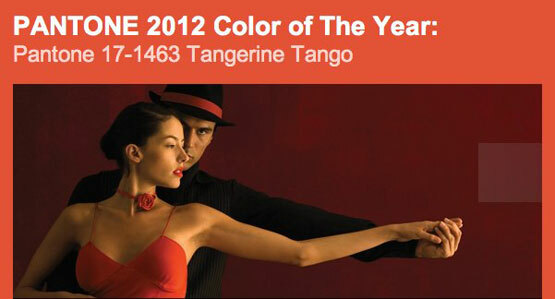 Linda: I would love to know what the process is and what goes into choosing the Color of The Year? Leatrice: I literally travel the world looking for clues. If I see a color that I think is ascending in importance, I make special note of it and then look for evidence in it gaining momentum. Fashion is always a good indicator, but it is not the only design area that must be examined. There are so much creative design areas that must be considered including graphics, the world of art, product design, home furnishings and so on . Another very important part of the choice is tapping into the “zeitgeist ‘ of the world around us and the emotional message that the color imparts. For example, with the that big gray elephant (the economy) still looming large and the concern that is being felt internationally, we would not want to choose a color that could be a “downer’. Instead we listen to people’s aspirations and try to give them a color that, at least symbolically, satisfies and encourages their needs and hopes. Linda: I would like to know if you have had a life long love of color and what was your path to becoming the color guru you are today? Leatrice: Yes, I was destined to do something with color. Even as a child, I was super-aware of the presence of color and was always fascinated by it. I learned early on that wearing separates was the way to go because you could contrive so many more color combinations that way. I also had a mother who let me have full reign in color choices—even in painting my room. And I came up with some pretty dramatic combinations. The proviso was that if and when I got tired of it, it as my job to purchase the paint and make the changes myself! I started to take design classes very early and then realized that color was not just about fashion and home, but the psychology of color was equally important. So my degrees are in psychology, but I combined that with design and color was a natural part of that. And for a shortened version of what happened next, I taught color, consulted with various industries, wrote the first of eight books in color, was invited to become the Executive Director of the Pantone Color Institute, while at the same time teaching color programs through the Eiseman Center for Color Information and Training. Michelle: How does Pantone take into account the current social/ political environment when deciding on future color palettes - or do they at all? Leatrice: Yes, those factors considered, as they are a vital part of color trends. Leatrice: Again, yes they are. For example, one of the important areas to look at, especially in this age of mass communication so readily available, are the colors that are indigenous to a certain country in which a large sporting event such as the Olympics is going to be held, as most of the world is anticipating and then watching those events. Another example: When there is war in any country, or some traumatic event, like 9/11, in the U.S., it is quite characteristic of a particular country to turn to the colors of their flag as they are symbolic of patriotism. 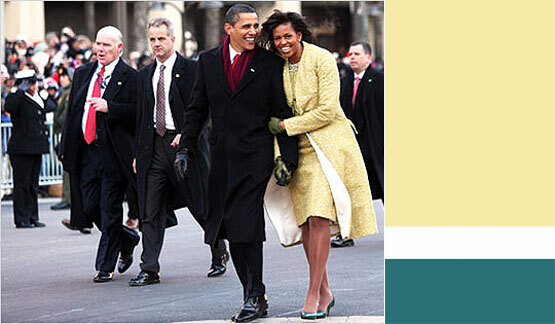 Michelle: Did Michelle Obama by chance choose a yellow inauguration suit when that was the same color of the year? Leatrice: I truly don’t know for certain why she chose that color-- It could be that she had a stylist who was very savvy about those things and made that suggestion to her or that she inherently understood that the color was symbolic of the hope and optimism that had been do much a part of the Obama campaign. Michelle: Are there really and truly color meanings related to a person’s personality and characteristics? In color consulting is this taken into account and are they analyzed personally and in business branding solutions...regarding color choices in branding? Leatrice: To respond to the first part of the question, yes there are color characteristics that people can relate to their own personalities. Faber Birren was the first credible resource on this aspect of color and many of his books are still available, although some relating to color in business are somewhat out-dated. But those relating to the psychology of color are still quite relevant. I have also written about this aspect of color in several of my books, including More Alive With Color and the Color Answer Book. 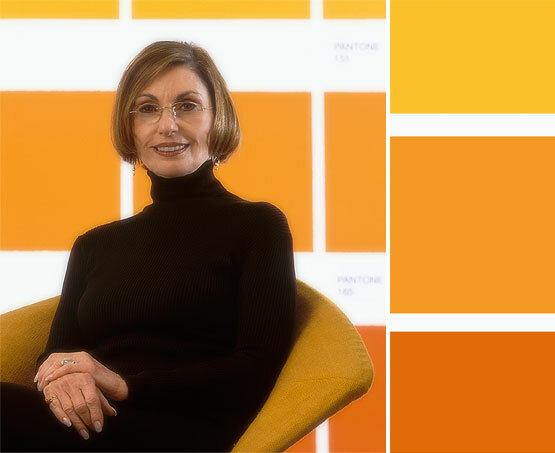 Michelle: Of all of the Pantone company's "Color of The Year," which color and what year had the most impact on businesses and sales? Is this something that is tracked by business sector? Fashion, home, retailing, advertising, etc? Leatrice: And that might have been a very viable reason for using blue—you instincts were correct. I don’t think I have ever done a line that did not include some shade of blue, as it is still a highly preferred color. Michelle: One more question for you that I didn't give Molly, but it would be really helpful if you could advise in your opinion what would be the most important inclusive, informative text to use in teaching COLOR THEORY to fashion design/marketing students? 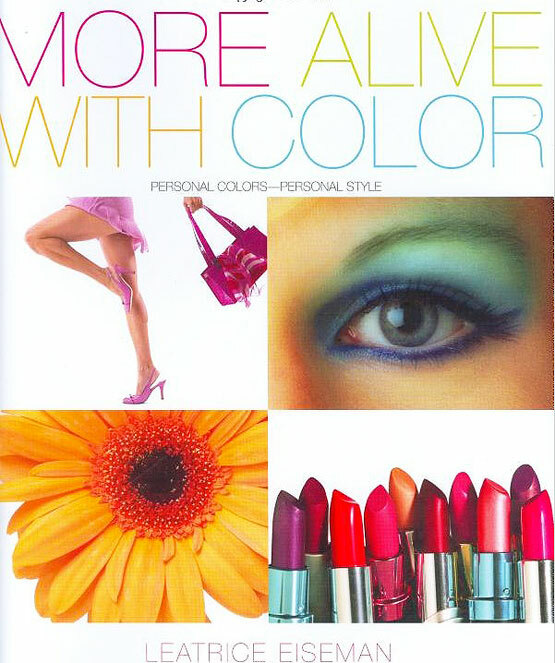 Currently we use the book COLOR by Zelanski/Fisher. Leatrice: That is an excellent resource, but in addition there is a wonderful book by Enid Verity called Colour Observed. The publisher is MacMillan Press and it was published in 1980 in England. Surprisingly, there aren’t many color photos, but the information is excellent and succinct. You will get a booklist as part of your hand-outs when you attend the class. Thanks for answering these questions in such detail Leatrice, we can't wait to hear from Linda and Michelle, post class and full of tons of color knowledge! I have to say for sure my mind is on overload , spinning with so much invaluable information we have been receiving at the seminar. Leatrice is so approachable and outgoing in her presentation of information.She offers more than you can almost take in in one day. Thank goodness she has lots of handouts to back up the visual presentations. 1/ tranquility 2 / aggravation using colors done in any media from collage to colored pencil and you can use images or just colors. I LOVED THIS PROJECT!!! and I promise once back in D I will download pics and send you some examples. There are two attendees from VENUZUELA that are amazing. AND hey everyone has a common thread.....lovers of colour, so they were all interesting to view. Mine I did in a painterly ethereal method and Linda reflected her style in an interior designer layout with color swatches and images to conjure the spa / tranquility vibe. We're learning to discern our relationships we have with color whether positive or negative , evaluating past memories as children. Children build their opinions about color relationships extremely young. One member here has an almost extreme adverse reaction to pink...any shade ...and when Lee was presenting meanings of pink I kept thinking my new color tribe partner was gonna pass out or either run to the restroom to vomit. Yes, that's how strongly she felt in an adverse way about pink. Why? After a review of the color yellow and all its " happy " meanings I found myself going into to a down, dark mood.....NOT at all what the color yellow mainly represents : happy , optimism..etc. I stopped suddenly as I realized why I was in such a mood. ...and what the color yellow held for me in my psyche. We had just yesterday been going over how color can impact you and cause reactions as adults adverse or non adverse , based on something occurring traumatic in our lives. It occurred to me my mother's death day is approaching ( fEB. 11TH) and as a teen our kitchen was yellow, the home I went back to as an adult was painted yellow, and my mother loved daffodils. The whole section of the study of the color yellow with it's happy button turned on had left me unhappy ....it was a reminder my mama was gone. That's the kind of powerful color associations I am able to recognize and accept due to Lee's training yesterday. I am a good student ..right;)////hahahahaha! Seriously, it's astounding the affect color has from a young age and how it's carried into adulthood. Meeting my fellow "colourlovers" here in the seminar and learning about their aspirations and mutual desires to further their careers in the field of colour , I am inspired on a higher level than before. Several participants don't know about this site so it's been interesting and fun to share. OK gotta get to sleep to hang all day tomorrow and we're doing some kind of surprise exercise/workshop/project. What a fantastic overview of the class so far! :) I would have loved to be there! :D sorry that I could not. It sounds like you are learning so much useful information to take back to your teaching and personal life! I can't wait for the finalist interviews. Enjoy your surprise workshop/project today. Hi fellow Colourlovers....wow, just coming back down to Earth after the most AMAZING educational program I have ever participated in. My head is spinning with so much new valuable information. Lee was so generous in sharing all her knowledge and I am still pinching myself that I actually got to meet her and attend her class. As Michelle mentioned in her post, the other class participants were so inspiring and the energy from the group as a whole was incredible. Even outside of class we talked and talked and talked and no one wanted the experience to end. Unfortunately I am suffering from extreme sleep deprivation as I took the "red eye" from LA back to Boston and had been up for 34 consecutive hours. As soon as I regroup I plan on writing several blogs about what I learned and I will be sure to post the links on this sight. Again, thank you from the bottom of my heart to Molly and the entire Colourlover community for this once in a life time experience. It truly meant the world to me. can't wait to hear all about it! Thanks for stopping in to say hi. AND I know for sure she and I will remain in contact for years to come. You would not even believe all the things we had in common right down to our project we had to do before we got to the class. Our colors on our boards were so complimentary to each other...we were mesmerized and inspired. can you tell I miss being face to face talking to her?